We can receive payment for our services in several different ways. This makes it convenient for you to choose the method that works best for your own business needs. It also insures that the payment transaction is satisfactory to both parties. Payment can be made directly to us or to us through a third party. The third party serves as a mediator between both parties to insure that the best interests of each. In case of a dispute the third party will review the evidence and the contract agreement and make a decision which is binding to both parties. He will them either release or withhold some or all funds depending on the decision. Funds required to cover the expected payment will have to be deposited beforehand to the third party into an account known as the milestone/escrow. This is probably the most preferred method of making online purchases. We have a PayPal account and will accept payments through them. 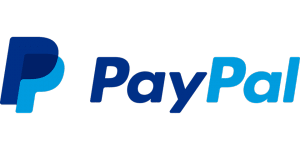 PayPal also provides dispute resolution services and is very careful to uphold the highest standards of integrity. Establishing a PayPal account is very simple to do and you must have adequate funds deposited into it to cover your expected expenses. Funds are deducted instantly upon your request to make payment. 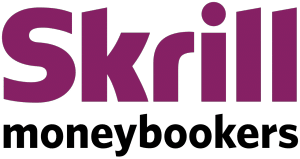 Skrill is a system which is very similar to PayPal. You will again have to create an account and deposit funds into it. This is another method of making payments through the internet which is highly trusted. Both methods are used by clients worldwide. Freelancer offers its services in order to be a mediator between you and us. Funds are deposited to them and held until you request to have them disbursed as payment. When you disburse payment you are doing so because you are satisfied with the work which has been performed. In the rare case of a disagreement Freelancer will arbitrate the dispute and either disperse or withhold payment. This account functions exactly the same as the Freelancer account. You deposit funds which will be released once the work has been completed to your satisfaction. Is another third party payment site. When you use Payoneer you don’t need to establish an account. If you inform us that this is your preferred method of payment we will send you a link to their site. You deposit funds into their account using your credit card which are then transferred according to the agreement once the work has been completed. Our preference is that you use third party sites in order to transact payments with us. This gives you the advantage of being able to check and approve our work before making payment and also demonstrates our commitment to provide you with the best possible service.